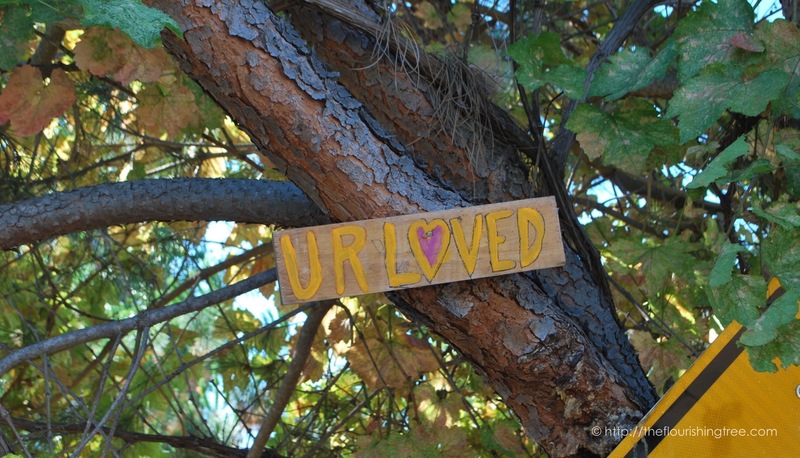 This entry was posted in flourishing tree and tagged #URLoved, 1 John 3:16-18, friendship, ice cream, John 3:16, love, passive voice, September, signs, signs on trees, trees, U R Loved, you are loved by hopesquires. Bookmark the permalink. I am behind. This is a beautiful reminder and I had never noticed the 3:16 connection. Thank you for showing me love at times. And now I’m behind in responding. Thanks for stopping by and leaving such a sweet note.